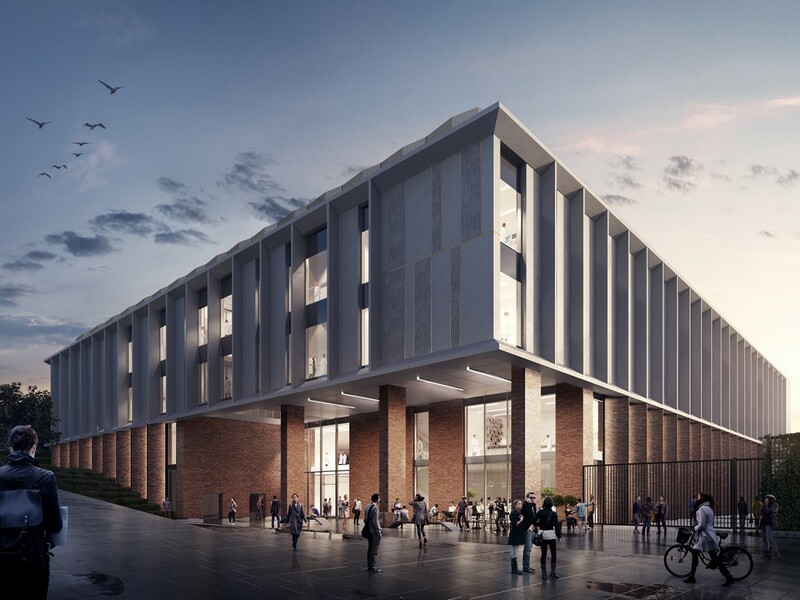 The Life Sciences Building at The University of Sussex will deliver a key area of the new masterplan developed for the Campus in 2012 by ADP Architects. Originally designed by Sir Basil Spence, the campus contains a number of Grade I and II listed buildings and is situated in Parkland surrounded by the South Downs National Park. 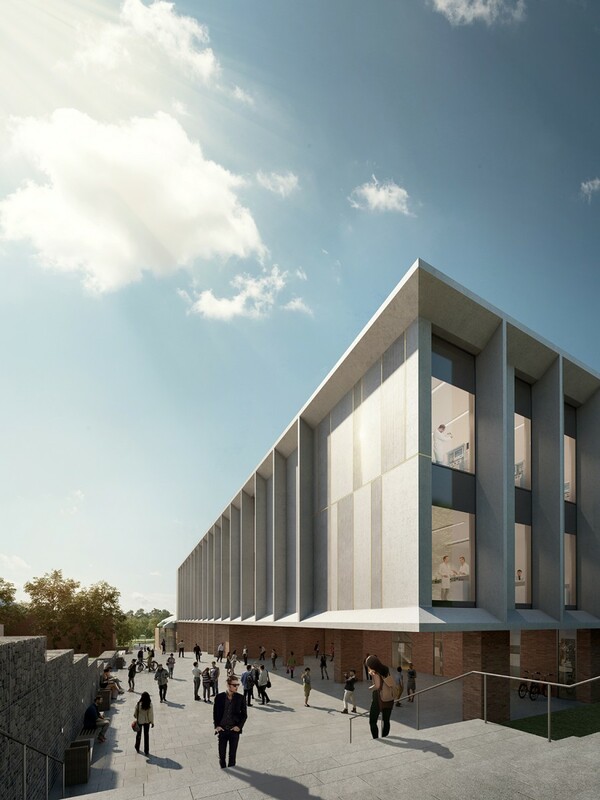 The architecture and landscape of this new development is designed to contribute to and enhance the established principles of the Sir Basil Spence campus. 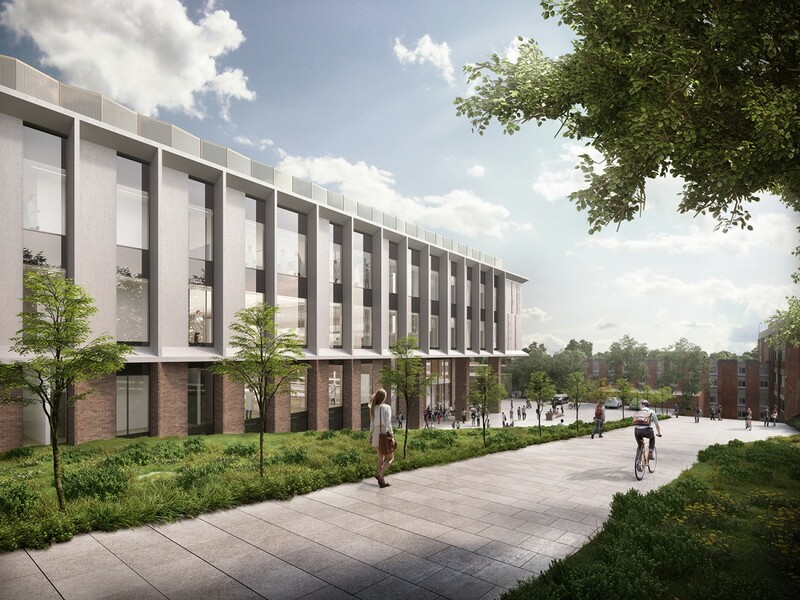 The landscape design aims to improve access across the steep site and enhance connections and views to the rest of the campus. 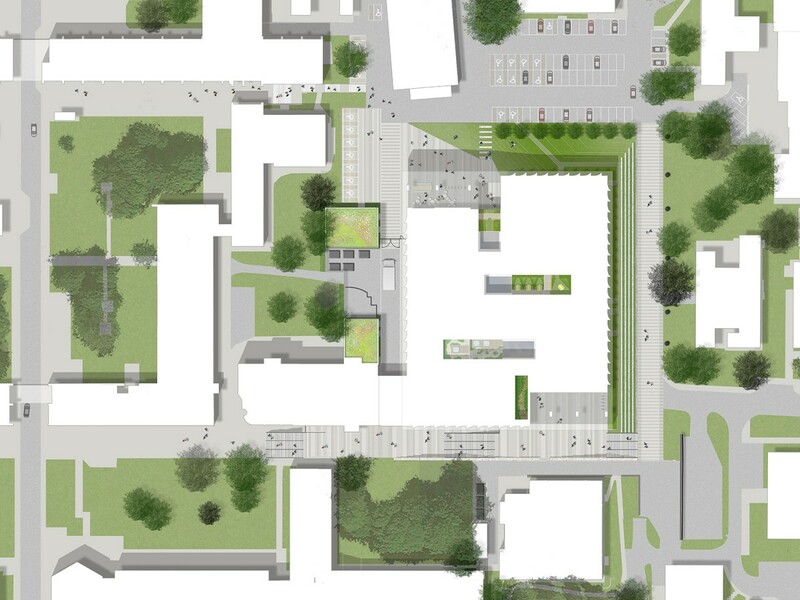 The proposals integrate ecological principles with rainwater storage, native and green roof planting whilst creating a space where students and university staff can work, socialise and relax. 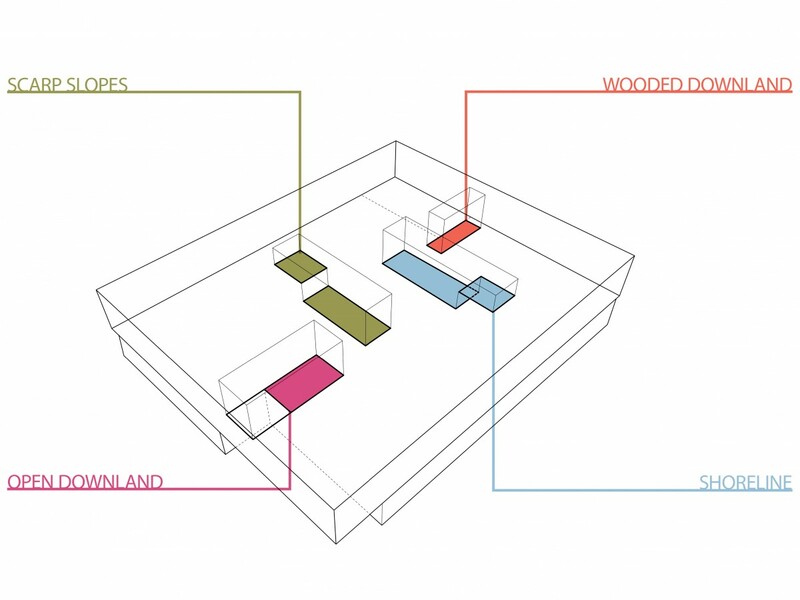 Inside the building there are four internal courtyard spaces which have been designed to be a playful take on the iconic surrounding characters found within the South owns; open downland, scarp slopes, shoreline and wooded downland. They will take inspiration from the shape, colour, geology and flora of these areas. 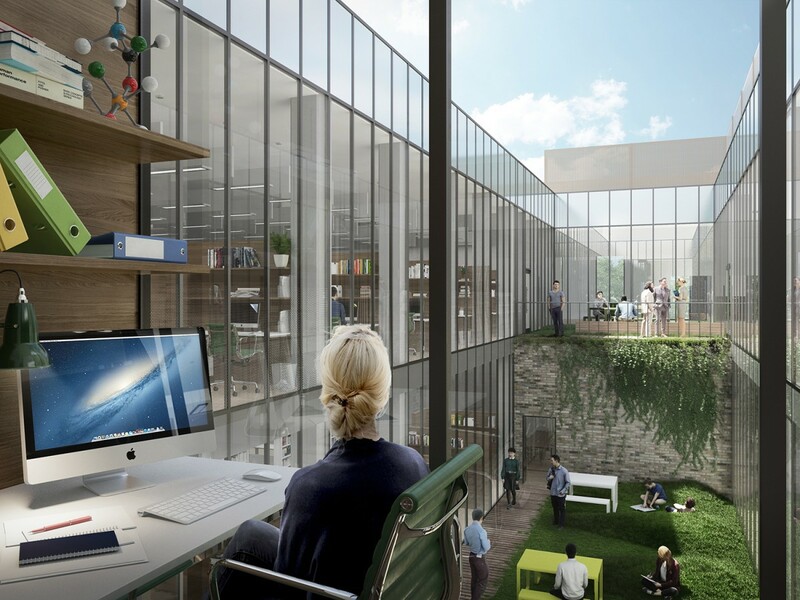 These spaces will be an extension of the inside spaces to allow outside working, meeting and breakout space.